Wood Framing is our business. We do it right. Whether it's Commercial or Custom Residential we can provide the necessary force to move your project quickly towards completion. Our teams are highly skilled Carpenters and all pay close attention to every detail a job requires. We work hard to ensure every project has a highly experienced Superintendent, Production Foreman, Pick Up crew, and skilled labor force. Tenant improvement - New plastic surgery center. We can provide the work you need on any new retail construction or Tenant improvement. We work closely with all other trades on the job to ensure all details are followed and any potential obstacles are dealt with so they do not become a problem. 4 story luxury apartment, Studio City. 6 unit complex, 12,000 sq ft. Grade level parking and 14 inch Podium Deck. We can tackle any Commercial construction or Multi Family project you may have. Whether it is Subterranean parking and Podium Deck or slab on grade, we have the resources. 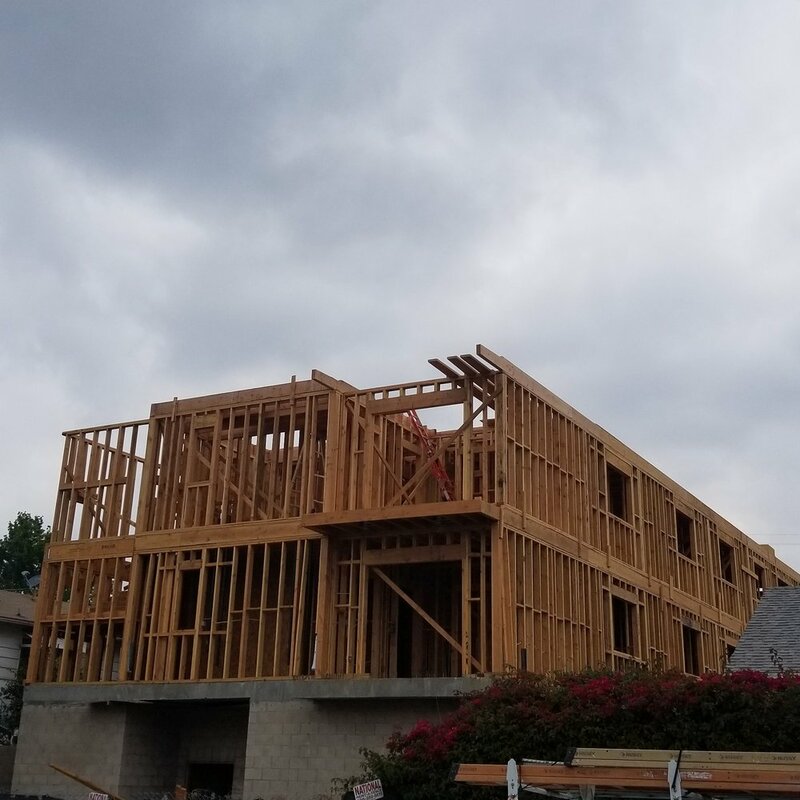 We have built many Apartment and Condo properties throughout Los Angeles and are very familiar with the strict requirements and fast pace these types of projects require. 3 level, 8,000 sq ft Custom Home, perched in the hills of Grifith Park. Subterranean garage and basement, and 2 floors overlooking the Los Angeles Skyline. The Ground Up and Custom Home project is very personal to us, and we take great care to deliver as the owner has envisioned. It is a labor of love and gives us the opportunity to really get involved. Custom Home Building is an art, and every home is one of a kind. If your Framing is not Square, Level, and Plumb then every finish will suffer. Call Resonne Building & Design to bring your Custom Home to life.